Tourism today is one of the largest, if not the largest, industry in the world, and the majority of the public have been travelling at least at one point in their lives. The holiday experience is a real business with almost unlimited resources, and this experience is taken further and developed every single day. People are looking for pleasure, relaxation, discovery and exploration, getting to know other cultures and taking personal time for building interpersonal relationships. Therefore, people travel on foot, by bike, with vehicles, such as public transport, automobiles, trains and airplanes. Some people need traveling for recreation and vacations, others — for information gathering, to visit other people on holidays, for charity, migration and beginning life somewhere else, religious pilgrimages, as well as mission trips, for business, trade, commuting or just for the enjoyment of traveling. Success of traveling depends on how effective the trip was planned especially by a travel agent. 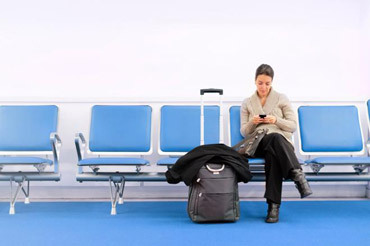 Internet services and mobile apps become an integral part of trips planning. Mobile travel applications are in great demand nowadays. They help travel agents to be independent on the most special conditions and to do work fast and effective at any time of the day and night using only mobile devices, such as the mobile phone or iPad. Throughout the last decades the technologies have been developing rapidly and computers have become smaller and available for private users as well as for business purposes. This opens opportunities to a new market where handheld computers and mobile technologies can improve and renew areas that have been the same for years, like the use of the traditional tourist maps and guidebooks. The mobile tourist guide takes advantage of the latest technologies and can take tourism to a new level when it comes to navigation and guidance of tourists. Comparing flights, hotels and rental cars, tracking flights, getting cheap travel deals right on your phone (iPad) — all this can be available using mobile apps. Holidays are offered to suit individual needs, but there is one issue regarding tourism that has not changed for many years —traditional tourist maps and guidebooks. Mobile tourist guides provide users with such a ubiquitous access. The prerequisite for this is the notion of customization, requiring awareness of the applications context together with appropriate adaptation mechanisms. Currently, there is a proliferation of mobile tourist guides, proposing an uncontrolled number of diverse functionalities. 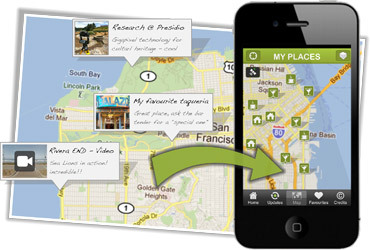 Mobile tourist guides represent a complex of points of interest (POI), each of which is connected with a district map and contains descriptions in various media formats: audio, text, image, and video. to reproduce content in a virtual mode, being at a distance from a route and the places described in the guidebook. Mobile tourist apps may cover information about the following: tourist attractions, historical sites, nature, beautiful beaches, religious places, delicious local dishes, occasions to celebrate, things to do, useful telephone numbers, dance places, arts and cultural places, modes of transport, top travel tips, restaurants, hair and beauty salons, real estate, casinos, medical information, dentists, car hire, guest houses, holiday rentals, currency operations, emergency telephone numbers, vital statistics.